Ready to remove that outdated popcorn ceiling? Trust us, this isn't a job you want to tackle! Scraping popcorn bumps from ceilings is serious, time consuming work. If not done properly, damage to your drywall can occur, requiring additional patching. Lots of our popcorn removal calls come from people who are mid-project are ready to give up and hire a pro to get it done! Amazing Detailed Interiors has been removing popcorn ceilings and other textured ceilings since 1987. Call (646) 680-0087 for a free quote and we'll have your ceiling looking smooth and modern in no time! 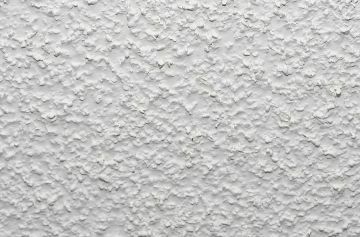 Popcorn ceilings became popular in the 1960's and the trend continued into the 90's. Many contractors sprayed them on as an inexpensive method to cover up imperfections on ceilings. They were also used in the belief that popcorn ceilings helped to dull sound in a home. Other contractors used it because they felt it gave a more "homey" appearance. In any case, popcorn ceilings are no longer in style, and many people throughout the area are looking for an inexpensive way to remove them. Once we've removed those popcorn bumps, the painting pros at Amazing Detailed Interiors will then re-texture your ceilings and prepare them to accept fresh coats of primer and paint. You might which a smooth ceiling or a swirl pattern, a knockdown or skip trowel look. We'll be happy to show you available options and to discuss the pros and cons of each of them with you.